A new campaign test WiFi supporting this group has been created. A new campaign test 6s supporting this group has been created. A new campaign hurricane Maria supporting this group has been created. A new campaign Dominica Strong supporting this group has been created. A new campaign Dominic Strong supporting this group has been created. 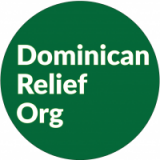 Dominicarelief.org raising funds for Hurricane Maria aid in Dominica.Our mission is to help the impoverished people residing in the Dominican Republic by, providing healthcare, education, housing, vocational training, clean water, food, clothing, and other necessities of life. Residents would also be trained in productive vocations such as construction, farming, education, administration, water management, and sanitation. Our ultimate goal is to help develop healthy, educated, self-sustaining communities.